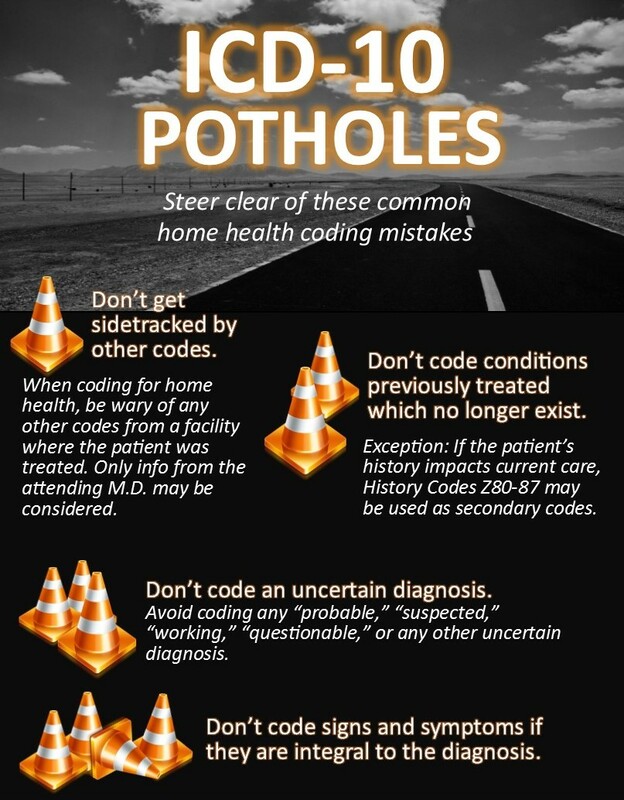 Even proficient home health coders sometimes find themselves skidding into ICD-10-CM “potholes,” caught unaware by confusing or misleading circumstances. The risk can be even greater for beginning or less experienced coders. The Home Health Solutions team has identified four common trouble spots for inexperienced home health coders. Think of them as ICD-10 “potholes” that novice coders will need to take care to avoid. We’re reviewing these trouble spots all week long on the blog, in posts specifically designed to help home health coders navigate issues such as handling a vague or uncertain diagnosis from the physician when to code signs and symptoms, when to code conditions that have previously been treated, and how to avoid getting sidetracked by codes from facilities where a patient may have been treated. Today’s post looks at the uncertain diagnosis, and what home health coders should do if they run up against the lack of a definitive diagnosis in documentation from the physician. Vague, uncertain diagnoses are the unicorns of home health coding. Even if you’re a believer, your coding won’t stand up to scrutiny without “proof” in the form of a specific, documented diagnosis. Any diagnosis documented as “probable,” “suspected,” “questionable,” or as “a working diagnosis” is, like the fabled unicorn, still a myth for home health coding purposes, and should never be coded. This is true even if the physician has prescribed medication almost always prescribed for a particular condition or disease, and even if the patient is experiencing multiple symptoms associated with a particular disease or condition. 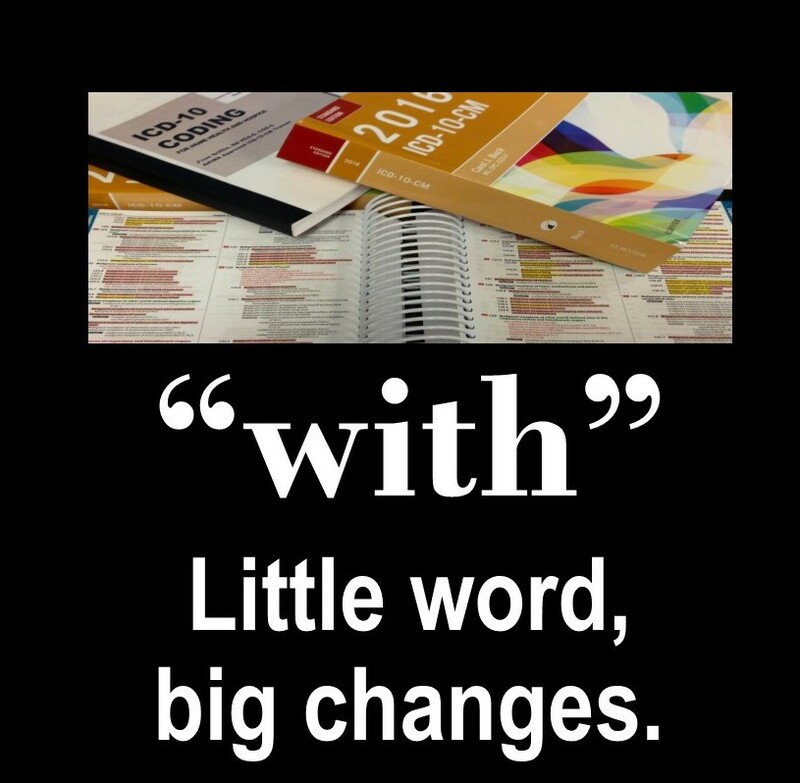 Until or unless the physician documents a definitive diagnosis, it cannot be coded. For coders transitioning to home health from some forms of inpatient coding, where signs and symptoms are coded, this can be an important change. In many cases, querying the physician can solve the problem and obtain the necessary documentation. Sometimes, however, a physician isn’t ready or willing to make a definitive call. Without a specific diagnosis, how should the primary reason for home health care be coded? Guidelines instruct coders to code “to the highest degree of certainty.” This means that under circumstances, when there is no specific diagnosis, you may be able to code specific signs and symptoms, abnormal lab results or other problems necessitating home health care. If a patient has been admitted to home health with physician’s orders to monitor or treat specific symptoms, those symptoms are the focus of care, and may be coded in lieu of a definitive diagnosis. Remember, however, that this is not the preferred solution, that it is best to query first, and that documentation from the physician regarding signs and symptoms will be required to establish the focus of care. In general, it is always preferable to code a specific diagnosis. Do you need ICD-10 training or review? Home Health Solutions can help you develop your home health coding skills, whether you are just starting out or an experienced coder needing CEUs. Our next session of Absolute Auditor, a training workshop for intermediate coders, will take place May 12-20 in Bessemer, AL, and will be available via Live Stream as well. For details on our classes, click here. Are you a member of our growing community of coders who subscribe to The Monday Fix, a free weekly email delivering home health coding tips to your Inbox? Click here to sign up.